Why is Daniel J. Boorstins book “The Image” not more often talked about? It is quite amazing that Boorstins book was first published in 1962. He died in 2004 and spend his career as a historian in Chicago and as the Librarian of Congress in Washington DC. Even though his book is 50something years old by now, it remains extremely relevant. The subtitle reads “A Guide to Pseudo-events in America.” and this is what the main focus of the book is about. Pseudo-events. Events talked about, because they are talked about. One of his examples for such a event would be a press conference every is reporting on, because since everyone is reporting on it, this seems to have a high significance. Today is full of pseudo-events. Maybe most of the stuff in the news would fall under this category. Or why else would a respected website like Der Spiegel constantly report on certain casting shows? He also points out that even persons can be human pseudo-events. And that might be true for most celebrities today. Maybe his book has never been as relevant today. The news circle is much faster than ever before. And content needs to be created every second – apparently, since the news outlet you are working for might fail otherwise. Irrelevant things are being hyped and become part of our culture. And maybe the art world might be one of the most outspoken culprit. What makes good art? Being presented as such. It might not be the best written book, but for me it is certainly one of the most important. And there is another very deep insight in this book. One that the two quotes at the beginning of this text point at. Especially the second one. “…not truth, but credibility (is) the modern test”. This, I think, is something that is just a hint at the moment, but of which we are going to feel to full impact only the years to come. Please stay with me for a second. When I started my studies in 2002, there was a huge debate, that the medium of photography might be dying. Something called “digital revolution” was on the horizon and with it, it was thought, came the demise of this medium. The digital process it was said, could alter every image without leaving any trace and therefore would destroy the medium itself. Photography was thought to be somehow connected to reality and this connection would come to an end. Papers were written, if photography could still be used in court, since it was going to loose its value as evidence. Oddly enough, someone seems to have canceled this revolution. Or maybe it has taken place already, but it looked very unexpected. How else could we explain the fact that images play a much bigger role within society than ever? Remember the 80s? TV news (in Germany at least) could easily go along without the use of images at all. There was a news anchor who just read the news. Occasionally he was interrupted by a film clip. But that was it. Today even the most mundane news needs accompanying images. The most telling thing here are examples we all have encountered. When there is terrible news, like an accident, children starving or or car bomb, from time to time we hear something on the line of “Our news team has access to the images in question, but due to the brutal nature, we decided not to show them”. This is amazing, even when you are not able to show certain images, you still have to reference to them, to make your news more trustworthy. So it seems like images did not go trough a transvaluation of values – to amateurishly reference Nietzsche. What then might have happend? 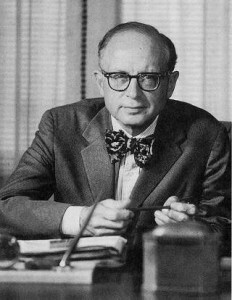 Well, Boorstin wrote his book in the 60s and he already saw the shift from truth to credibility. So I am not going to claim that this is somehow new. I think this process is accelerating. And this process has struck the medium of photography extremely hard. With the digital revolution, photography did not loose its value as a medium – maybe that has something to do with the fact that our collective perception has shifted. Away from truth, more and more towards credibility as “the modern test”. Having a trusted news anchor declare that he himself has seen the image, well that certainly makes it credible, even though the image remains invisible. And since the Internet makes us believe, that we are in fact in charge of our newsfeed, more and more of the things we are consuming this way might seem credible to us. But we can expect our newsfeed already to be different from the one our neighbor consumes. Thanks to the power of Google and Facebook, who work hard on keeping stuff hidden from us, we might not be interested in. Again, that is not new, but the scope is different. What is going to happen, when more and more of our time is spent in a virtual environment? That is not neccesarily having a VR headset on your head, but rather a direct and personalized media feed through different sources. The shift, I guess, keeps going in the direction away from the real towards the credible. In a way things only have to appear real enough to be almost indistinguishible from reality. And who cares about the real real anyway?